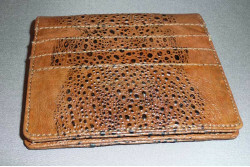 Quality wallets made with unique Australian Cane Toad leather. 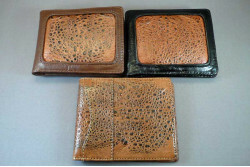 Our selection of wallets made of quality Australian cane toad leather has grown over the years. 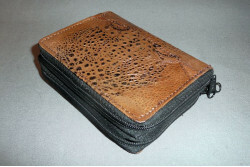 A very popular item for Father's Day or anytime of the year. 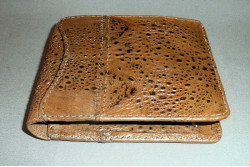 Card case with 16 slots made of 100% Australian Cane Toad leather. 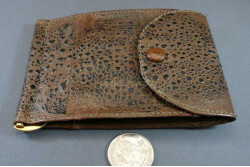 Organize your business cards &..
Wallet and business card holder in one. 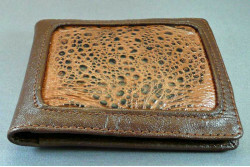 Made of authentic Australian Cane Toad leather. 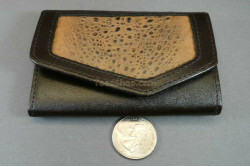 This is a..
High quality mens wallets made with durable and unique Australian Cane Toad leather. 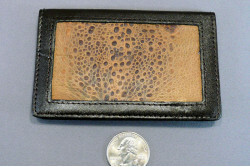 Both men and..
A combination money clip and card case made of 100% Australian Cane Toad leather.This well designed ..